Courtesy of Douglas Elliman, Connie Blankenship. 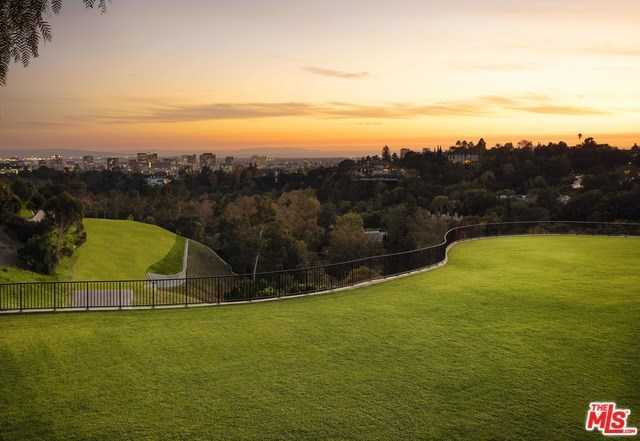 The Park Bel Air represents a once-in-a-lifetime opportunity to own one of the most valuable pieces of residential real estate ever offered in the United States. Pairing a location of unrivaled prominence in the heart of Bel Air with protected panoramic city, canyon and ocean views, The Park Bel Air stands as a last of its kind, offering approximately 10.6 contiguous acres of prime, permitted and preserved estate land within one of the world’s most exclusive settings. With its entrance opposite legendary Hotel Bel-Air, this remarkable offering includes approved plans and permits allowing up to 180,000 buildable square feet across three estate lots with elevated views across West Los Angeles, the Pacific Ocean, Catalina Island and beyond. Please, send me more information on this property: MLS# 19429088 – $150,000,000 – Tortuoso Way, Los Angeles, CA 90077. I would like to schedule a private showing for this property: MLS# 19429088 – $150,000,000 – Tortuoso Way, Los Angeles, CA 90077.